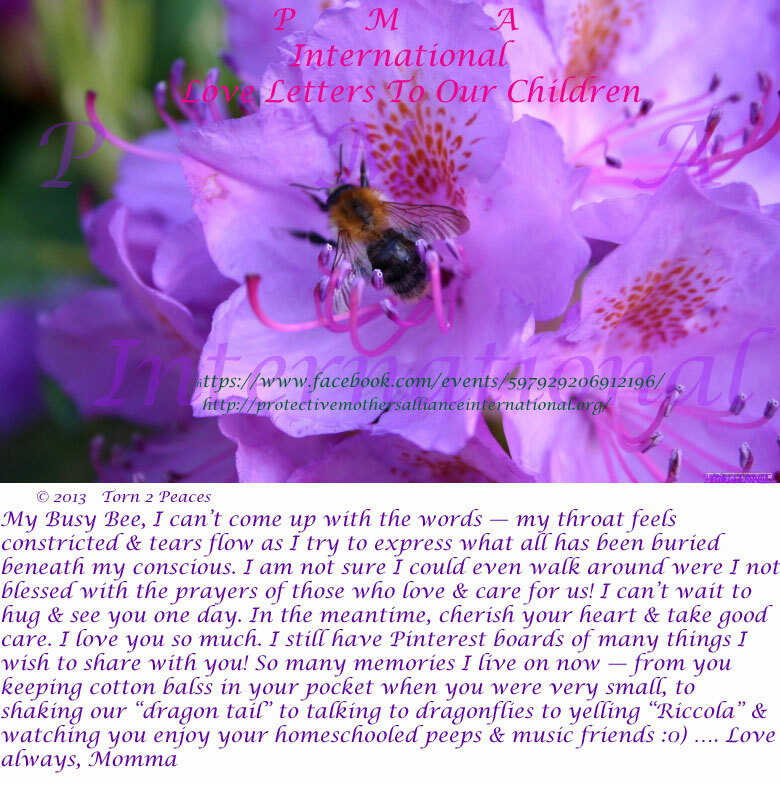 Another beautiful original Love Letter from a PMA International supporter and Hero Protective Mom to her child. 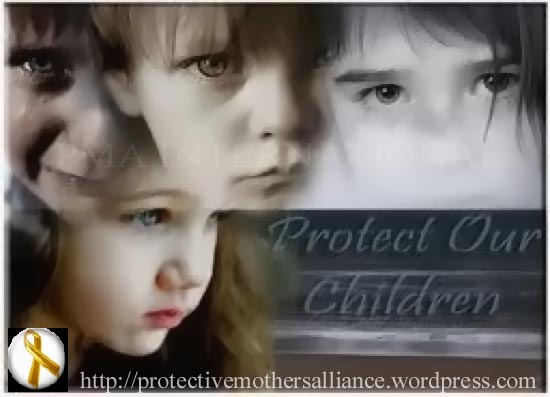 Thank you Torn 2 Peaces. We value your participation. 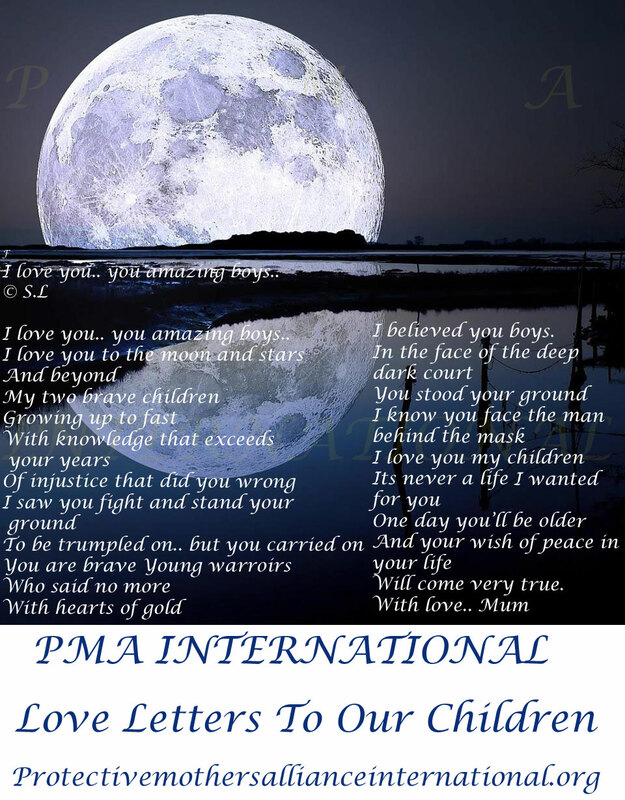 A beautiful love letter poem from a PMA INTL Hero Protective Mother to her beloved children. 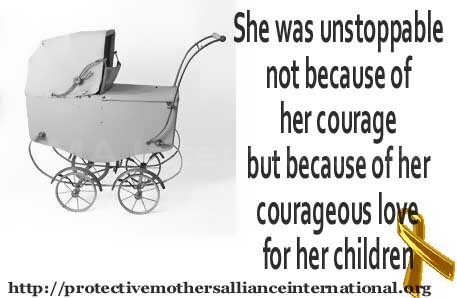 This poignant poem was generously submitted by this Hero Mom to our “Love Letters To Our Children” Campaign.